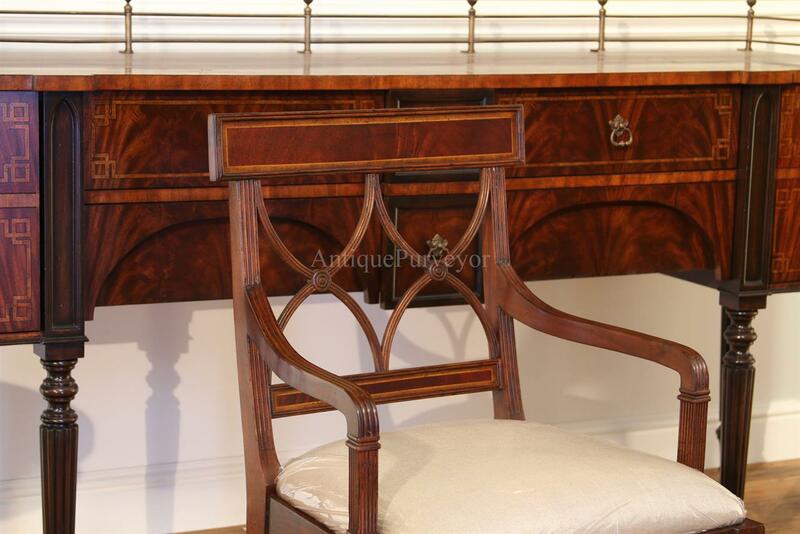 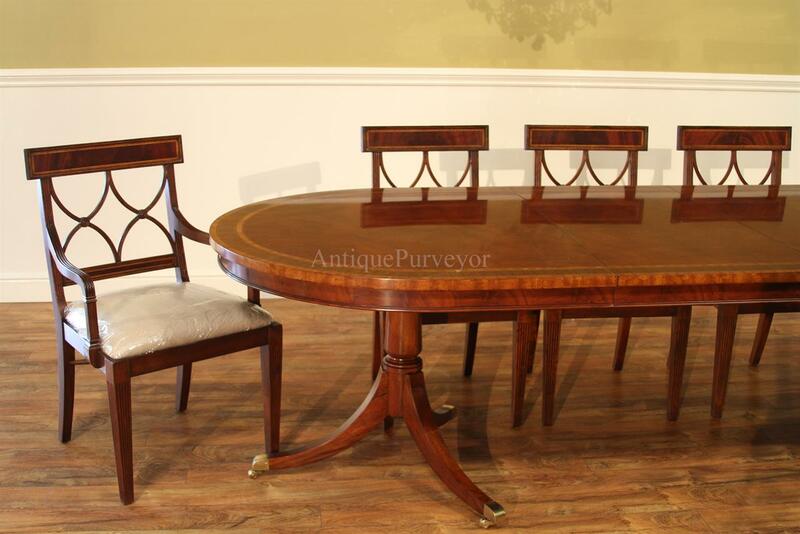 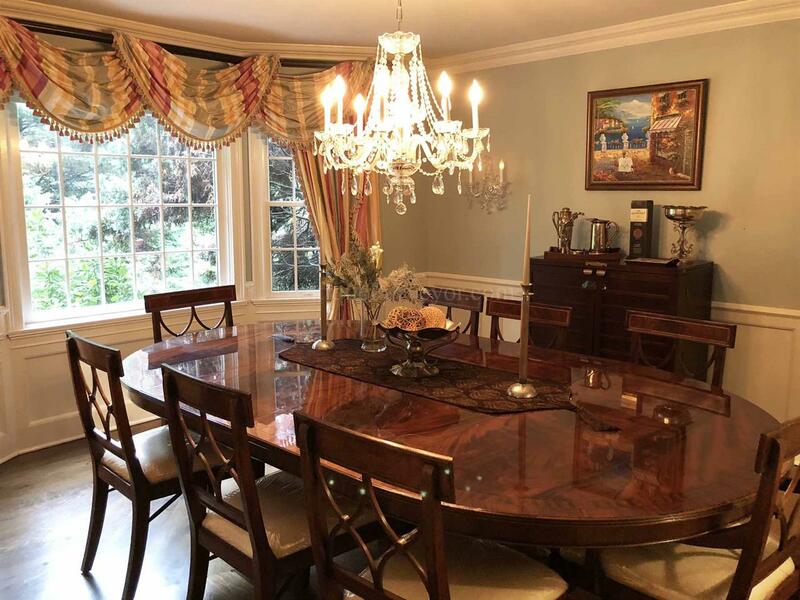 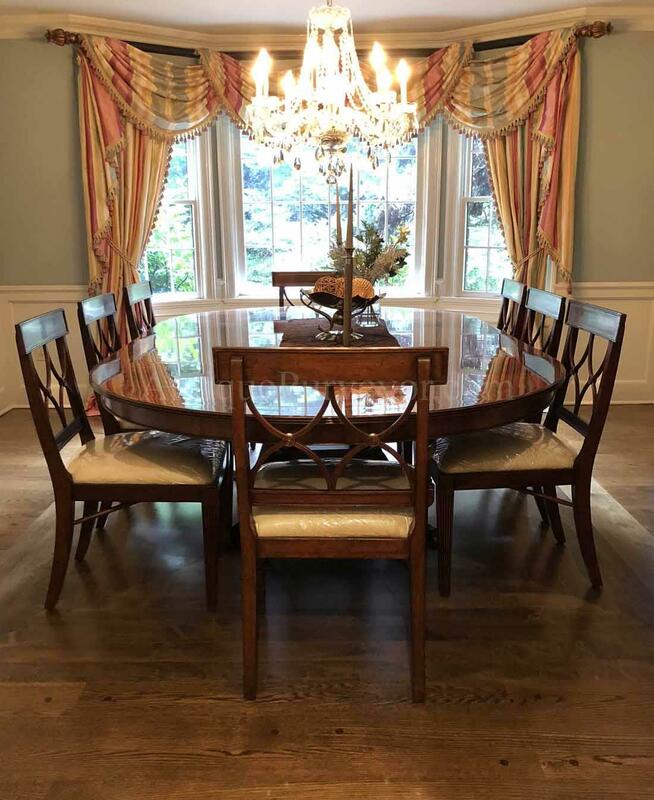 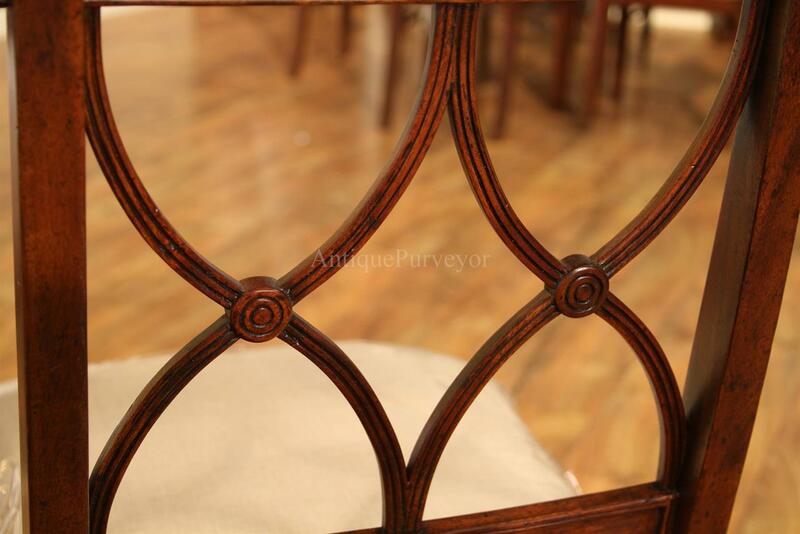 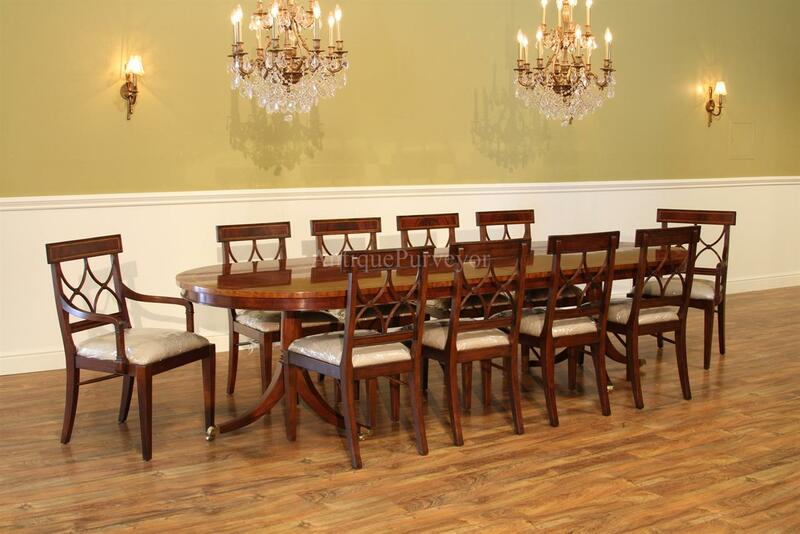 Description: Inlaid mahogany cross back dining chairs. 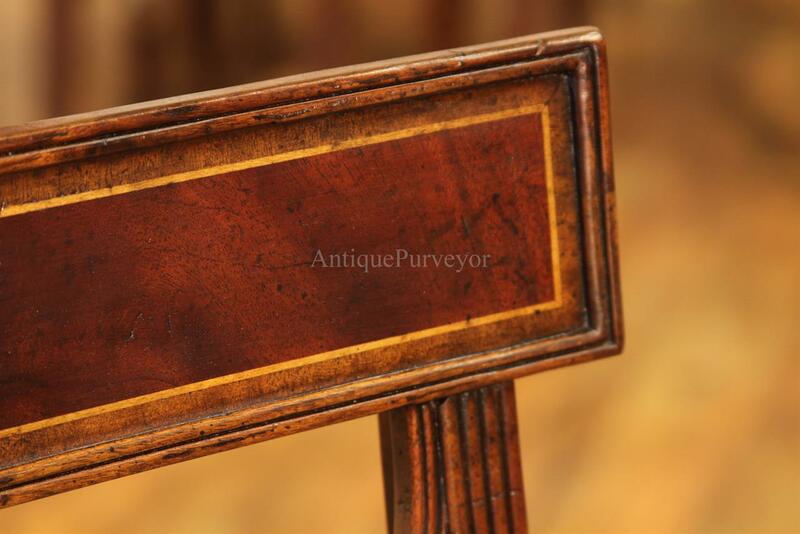 These are heavy and dense frames. 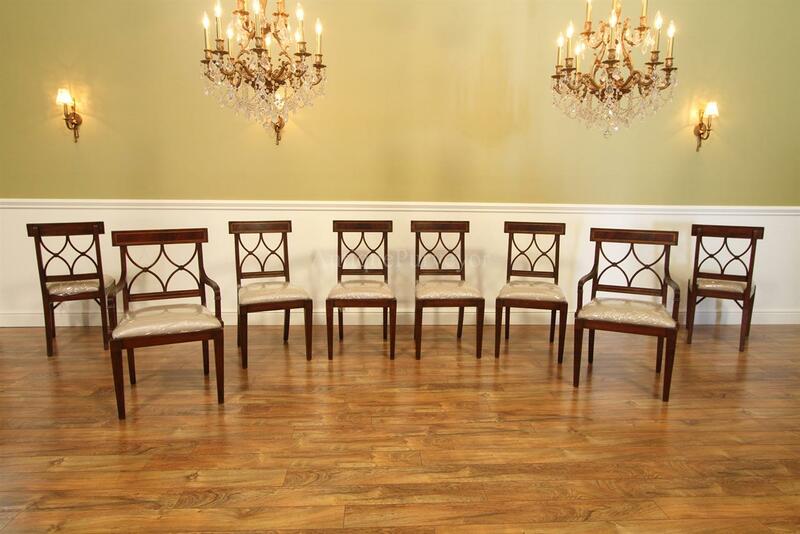 These chairs are worth the extra money when compared to other versions of the same chair. 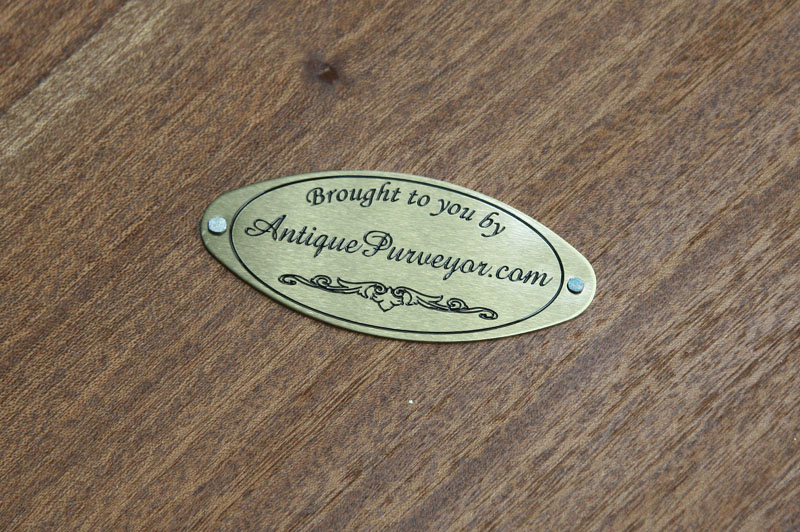 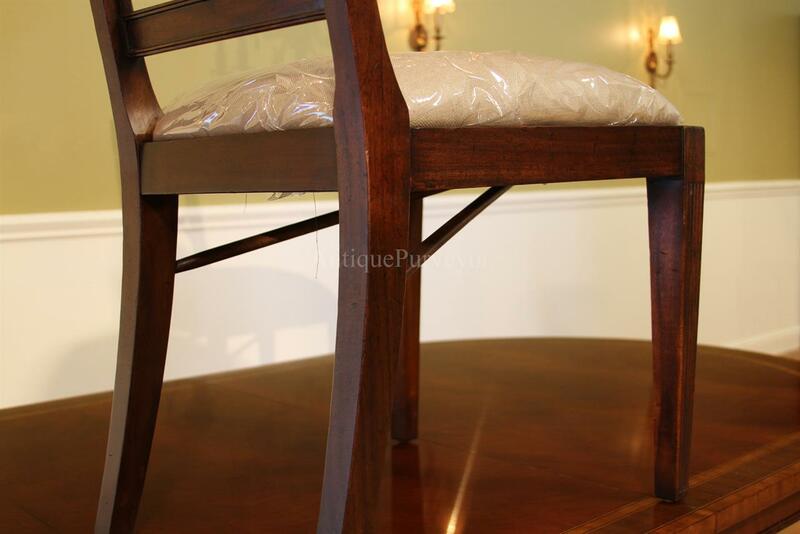 You will see and feel the quality as soon as you get the chair in your home. 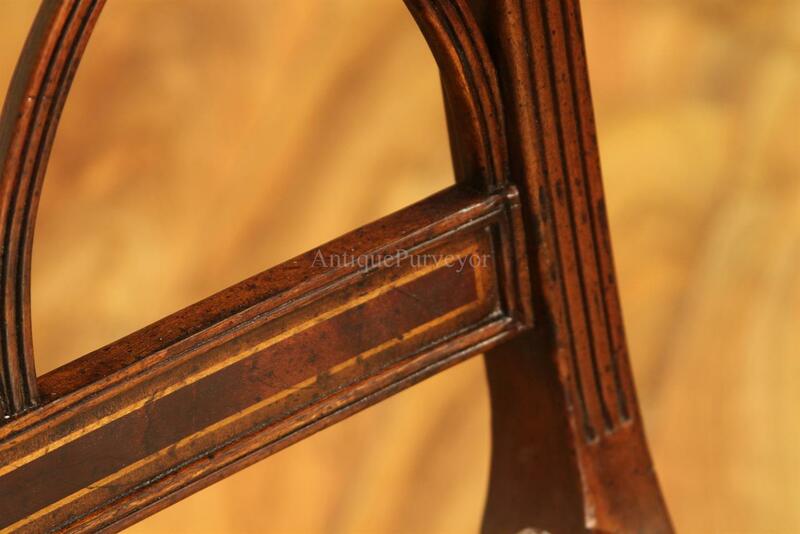 These chairs look amazingly close to original period furniture because of a multi-step finishing process which consists of mild distressing techniques. 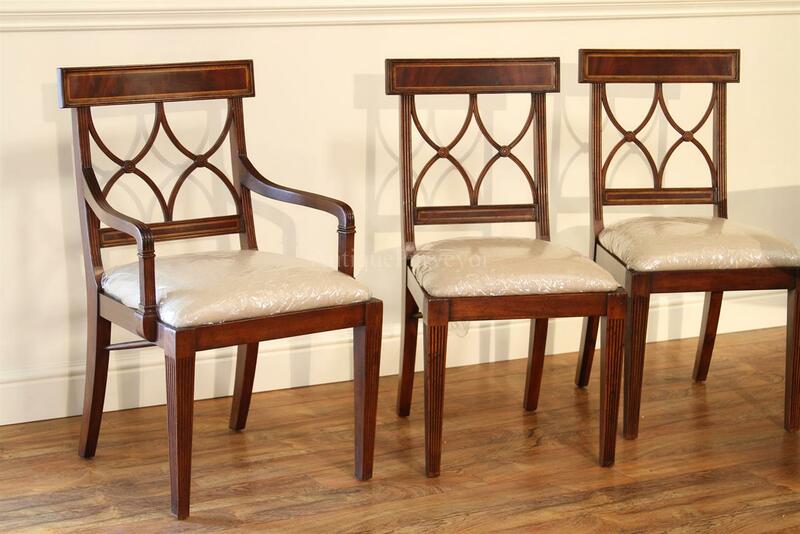 The finish on these chairs are fabulous and second to none. 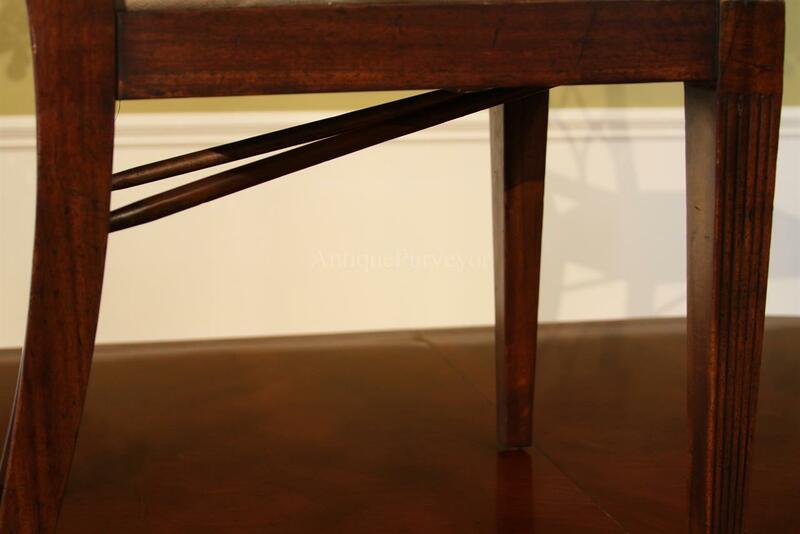 Top and bottom splats are crossbanded with satinwood. 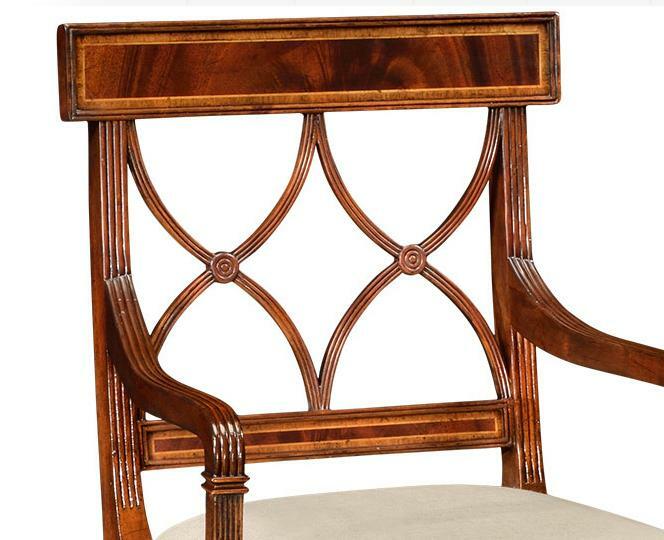 The reeded legs and arms coordinates nicely with other reeded elements founds in our collection of Duncan Phyfe dining tables.